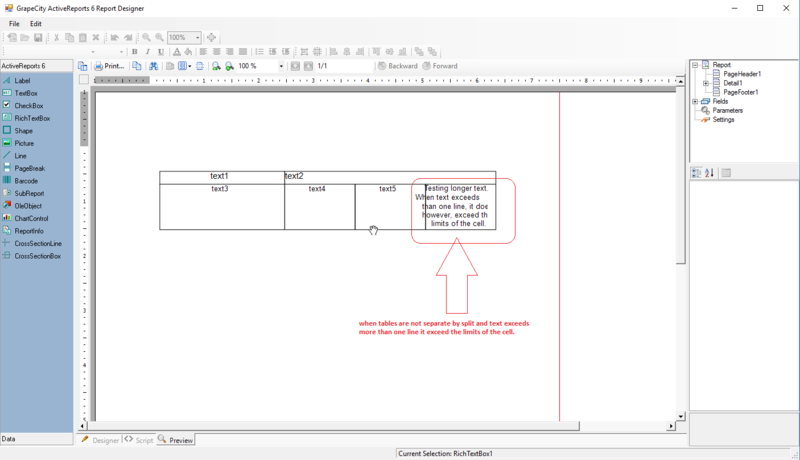 In RichTextBox when tables are not separate by split and text exceeds more than one line it exceed the limits of the cell. Please see example from attached files. I have received an update on this issue. The issue is caused by the merged cells in table and RichTextBox doesn't fully support them. We suggest you to use cells with hidden borders instead of merged cells, as a workaround. Please see the modified rtf file with invisible borders. I've tried it and it works well.